Reporting day took place on Saturday as the Pittsburgh Steelers decended on Saint Vincent College in Latrobe, Pennsylvania in a tradition the’ve followed for 50 years. While player check-ins were a major media focus, other important news included the fact that five players will begin on the physically unable to perform (PUP) list and the contract extension of Kevin Colbert just hours before camp officially began. On Friday, the Steelers announced they had signed offensive tackle Kelvin Palmer and parted ways with safety Jordan Dangerfield. The move was made clearer with Coach Tomlin’s announcement that Mike Adams was one player on the PUP list. Adams had a back procedure on July 20, and will be out approximately four weeks. Tomlin said Adams will require four weeks of rehabilitation before he would be ready to get onto the practice field. Also on the list: Bruce Gradkowski (right shoulder), Senquez Golson (shoulder), Shawn Lemon (Achilles), and Maurkice Pouncey (foot). “Shawn Lemon has an Achilles strain. Maurkice Pouncey has a right foot sprain that happened in training, but it’s very minor. Senquez Golson has a shoulder injury, and we will monitor it. No real update or anticipated lengths of time with these guys other than Mike Adams because he had a back procedure that requires about four weeks of rehabilitation before he’s ready to go. 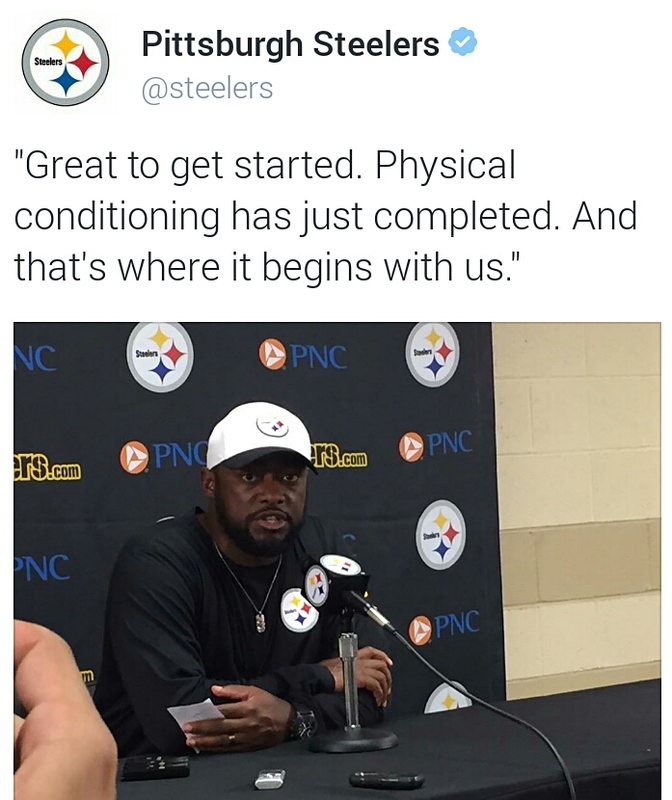 But largely I am excited about the overall readiness of the group and excited about getting started,” Tomlin told the media. Colbert, who carries the title of General Manager but has mainly focused on acting as the director of football operations for Pittsburgh. His extension matches Tomlin’s in that he will remain with the team through the 2018 season. His relationship with Tomlin is one of collaboration when it comes to how the team is run day to day.